6 Reasons to Come Live in a Cornerstone Community! 1) There's always something to do! 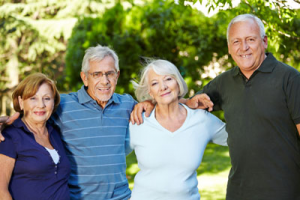 At Cornerstone Homes, we celebrate the “active” in active adult community. From the incredible amenities we offer, to the beautiful locations we choose for our neighborhoods, we foster a relaxed and active lifestyle. You can choose among so many activities… Go on day trips. Meet for coffee. Take a yoga class. Go fishing. Have a swim. We take pride in having an entire world of activities right outside your door. Part of simplifying your life is living in a great location that’s near your grandkids, your doctors, your bank, and anything else that’s vital. Cornerstone communities are located near health centers, golf courses, and shopping centers, so you won’t waste your time traveling long distances. Cornerstone chooses lovely areas, with picturesque natural amenities, close to vibrant cities and attractions, so you’re a short trip from museums and theatres, and sports arenas. 3) A sense of community! 4) It’s time for you! You’ve raised your kids, worked the long hours, and saved for your golden years. Now is the time to enjoy it. Cornerstone gives you a life where you are free to do whatever you want – whether it’s traveling, enjoying your family, or pursuing your hobbies. Our communities are Lock and Leave, so you can travel for months and know that your home is safe. Spoil yourself – you’ve earned it! We want Cornerstone residents to feel safe and secure in their new homes and community. To that end, our neighbors know one another and look out for each other, and look out for each other. All of our homes have attached 2-car garages with remotes for safe and easy access. Our communities are designed with sidewalks and streetlights, and no “drive-thru” traffic. Our maintenance crews take care of yard work and home maintenance so that you are never at risk atop a ladder or wielding power tools. 6) A brand new maintenance-free home!